Katie Price and Peter Andre take the family out in Malibu, CA. The couple has moved their family to California for 3 months so that Katie can establish her modeling career Stateside, while Peter works on his next album. As they adjust to life in the US, their every move will be filmed by cameras for their new ITV2 reality show. 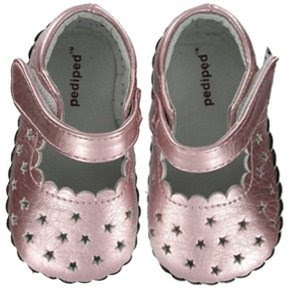 Princess Tiaamii wears Pediped Original Zoe shoes in Pink Metallic.